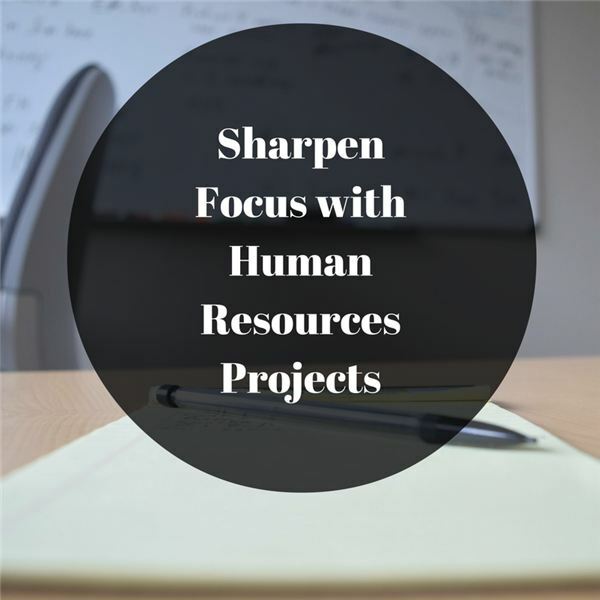 How can you focus your HR department more sharply? The answer, in short, is by starting to implement project management; first, by defining your work as projects. In this way, whoever is managing the effort will have a clear focus, clear objectives, clear metrics and a clear vision of when they will have accomplished their objectives. All of this has a way of swinging people into action after “the goal." Let’s keep this a bit high level, since it is a short article. However, if you can get these basic things going, it can make a world of difference. The first thing to remember about projects is that there is a well-defined beginning and a well-defined end. If you cannot define the beginning and end, you probably have a process and not a project. Work at it until you can identify a simple and clear beginning and end. When you think in terms of vision and objectives, think about what is often called “end state." You have a well-known current state, which you should understand thoroughly. Now, it is up to you to design a new future state of how you want things to look when you reach the end of your project –your desired end state. For example, there may be a lack of leadership development in your organization currently, so you are initiating this project to put into place a series of leadership development speakers to come on a monthly basis to speak on various leadership topics to rising leaders. You need to think it through and imagine every aspect of how this might affect your workforce, from the current state to a projected end state. Once you have a clear vision of the end state, you need to think in practical terms about the organization of the effort to get to the end state. What resources will you need in terms of money, people, systems, equipment, space and so on? How can you organize these resources optimally to deliver the end state at the least cost and with the best results? Every project has risks and issues of some sort. Many of them are revealed by looking at your assumptions and constraints. The best way that I have found to approach this is to gather a small number of stakeholders or team members for this project and brainstorm for a while. List every risk you can imagine. Think also in terms of what you are assuming and how that might pose a risk. Think about your constraints (often resources) and how they might represent a risk to the project. Finally, order your risk by probability and impact, coming up with a plan for managing each risk. What steps can you take right now to help your human resources organization to take the beginning steps to adopting project management principles and best practices in the management of your initiatives?